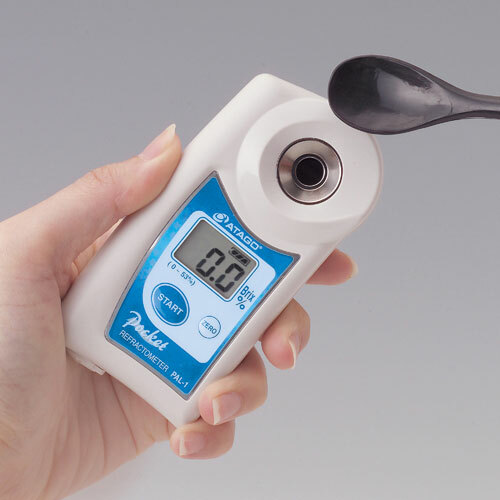 The PAL-1 pocket sized digital refractometer is ideal for fruit and vegetable orchards, markets, supermarkets, restaurants, beverage and food factories (fruit juice, coffee, soft drinks, soy source, sauce, seasoning, soup, pickle, low concentration jam, marmalade, jelly and syrup). 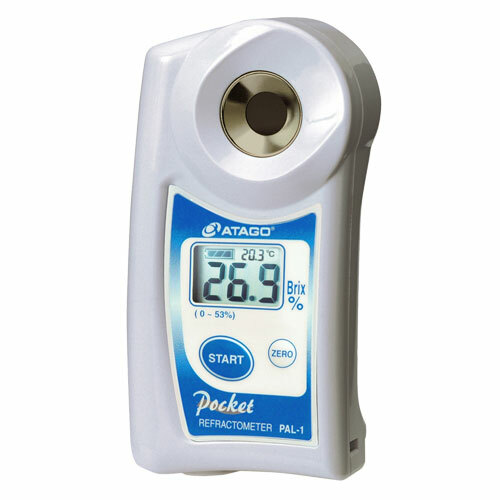 Fully digital, The PAL-series surprisingly compact size (pocket size) allows you to easily carry it around and use it outdoors or inside factories. The size, design, function and performance will surprise you. 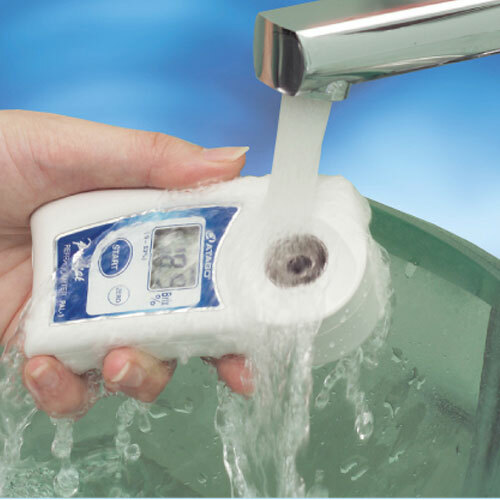 The PAL-series will expand your range of measuring possibilities. Hot or cold samples can be measured. Temperature display - The temperature of the sample stage at the time the measurement was taken will be displayed along with the Brix reading. 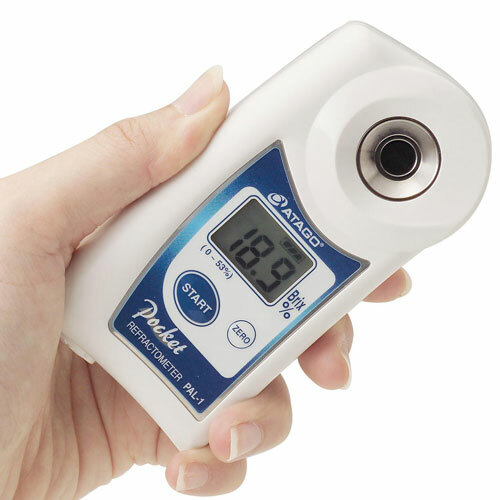 Zero setting (calibration) can be done with distilled or tap water! Class IP65 - Dust-tight and Protected against water jets. Rinse clean under running water. Operating Modes: Displays both Brix and Temperature. Includes: Protective storage case, 2 x AAA Batteries, serialized Caibration Report certificate, and owner's manual.